Oh, my! Six days have passed since our last post! This is unbelievable… To make up for this, I will teach you how to become famous. Yeah, I’ll talk a lot about me, but I am a star already and I’m allowed. First of all, you need some dedicated humans around you. It will take some time to train them well and make them see how handsome or beautiful you are. For them the standards are different (no fur, skinny look etc. ), so making them understand what is really nice – big furry but, whiskers… – takes time. Also you need to teach them how to prim a future furry star: what kind of veggies are good for the fur, the best shampoo to be used and so forth. Then you must identify PR opportunities – websites, contests and a lot of other options that can make you famous. But for this you need a dedicated pal, the type that has the network or the skills to build one in order to promote you. As you can’t intrust a total stranger to this task, I strongly recommend to become part of gang. This means accepting other Guinea Pigs in your house, but it’s totally worth it. I have Data for this and I am happy with him. OK, not happy sensing his scent on my human, but happy with the outcome of his activity. He managed to make us visible on Facebook and to put me in some nice contests. But let me tell you about the competitions in which I participated… Please bear in mind that you will not win each and every one. Not even I managed this kind of performance, and we all know I am handsome and lovable. 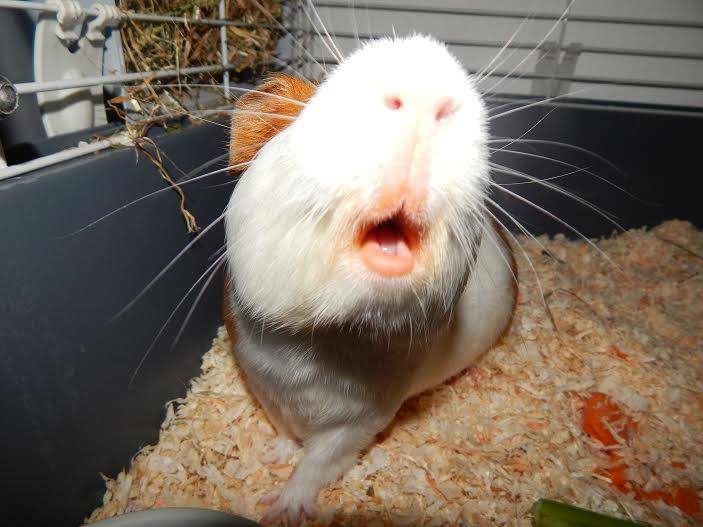 Our first attempt was on a French forum dedicated to Guinea Pigs. In September 2013, I convinced the human it was high time to present me in a competition. I was very nervous, I supervised the creation of my poster and checked the forum every day to see the evolution of votes. After 10 days of incredible emotions, I was declared the winner. I was so happy that I even popcorned several times, although my beautiful big but didn’t allow a considerable height. In 2014 I launched myself on Facebook also. First contest was a little bit of a disappointment because our human doesn’t have so many “friends” and we were not able to gather enough likes to put me on the first place. But I finished the third and it was also fine. The second one was a true fiasco… I finished also the third and got no chance to see my beautiful face as a wallpaper on a famous group for Guinea Pigs. As my sadness deepened, The Gang and the humans decided to campaign more for the next attempt. And, yes! The third one was the lucky one: my lips and whiskers got me the first place and the promise that I will feature in a calendar at the end of the year. I look forward to see my face on the wall. 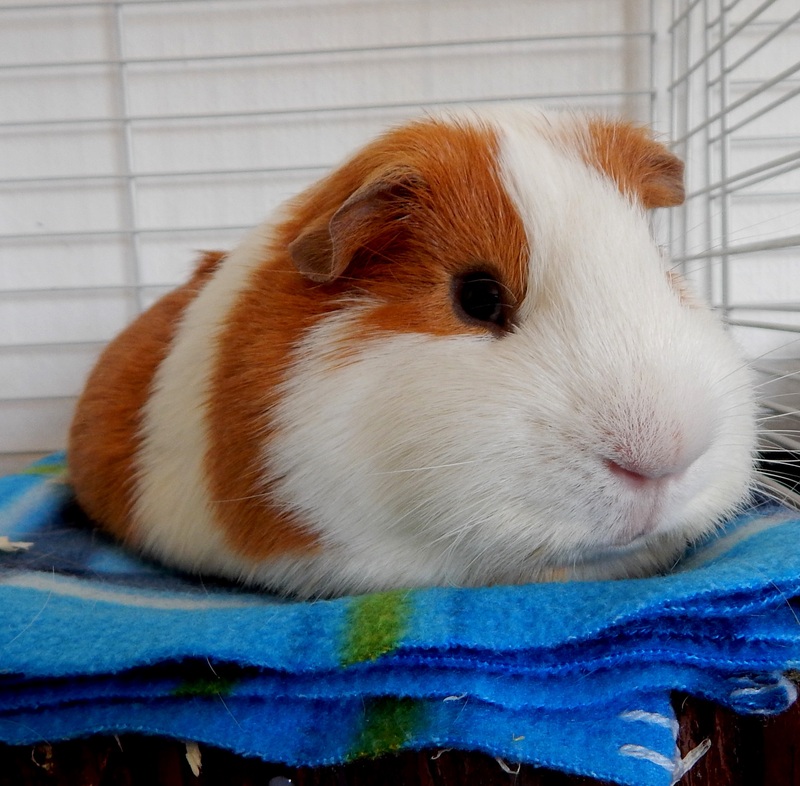 So, to conclude: get a trained human, get a PR specialist (preferably a Guinea Pig! ), learn how to overpass the failures (you need a support team to constantly remind you how beautiful you are) and rule the world. A kiss for all of you!